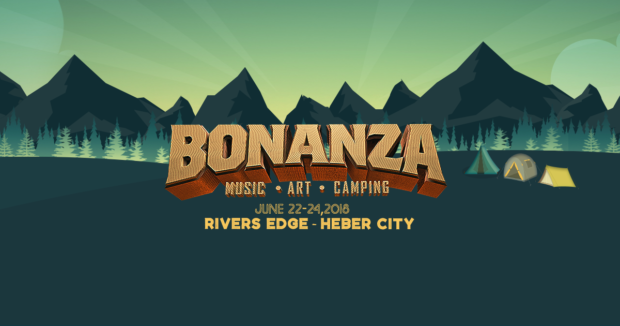 Bonanza Campout, Utah’s largest and most diverse multi-day music, art, and camping festival, recently released their full artist lineup for 2018! With an eclectic mix of pop, hip-hop, EDM, and indie rock, this year’s festival will be headlined by prominent New York pop singer-songwriter Halsey, hip-hop heavyweight Wiz Kahlifa, and Grammy-nominated electronic DJ/producer ZHU. Additional high-profile artists include Phantogram, RÜFÜS DU SOL, Local Natives, BØRNS, Oh Wonder, Blackbear, Moon Taxi, Snakehips, and more! I can’t wait to join thousands of mountain-lover music enthusiasts come together to listen to live music while having the opportunity to camp out in the beautiful Wasatch mountains. The is set to make it’s return to River’s Edge Campground in Heber, UT, over the June 22nd-24th weekend. The secluded and naturally beautiful setting is perfect for an all-inclusive, weekend-long music festival. Besides the music, there are some ultra-amazing vendors that will be selling jewelry, food, outdoor accessories, and of course, beer. Get ready for another incredible summer with good nature vibes and an intimate experience for fans and artists alike! What I’m saying is – gather your squad, gear up, and join me for year three of Utah’s biggest, most memorable, once-in-a-lifetime summer festival experience! !